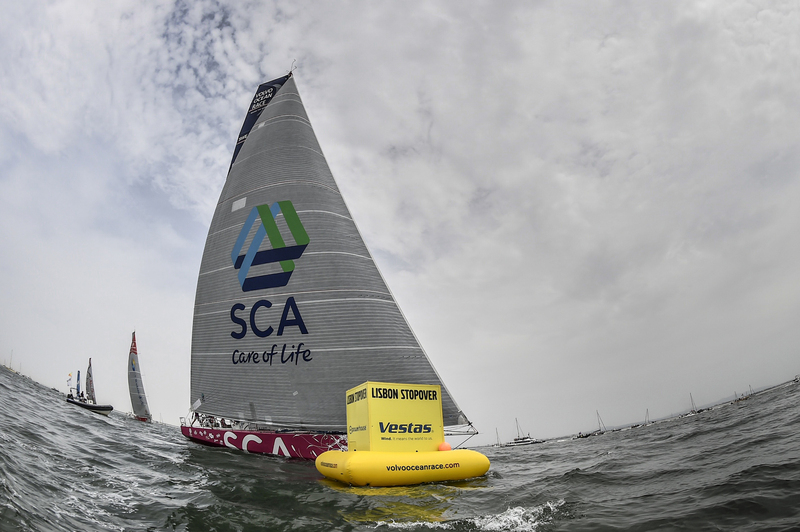 Team SCA (Sam Davies/GBR) found themselves leading the fleet after a night of thunderstorms and fluctuations as the Volvo Ocean Race Leg 8 entered the first full day in the Atlantic on Monday. 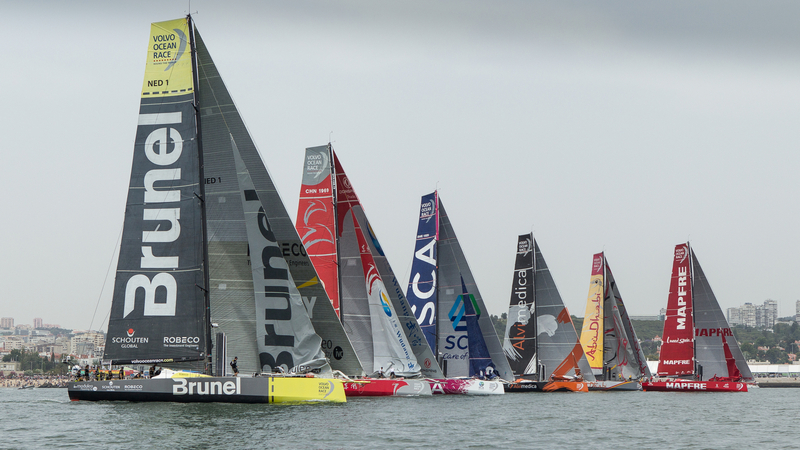 The first all-women’s crew to enter offshore sailing’s toughest contest for 12 years have improved leg on leg since the start of the race in October last year, but their finishing positions have not reflected that so far. 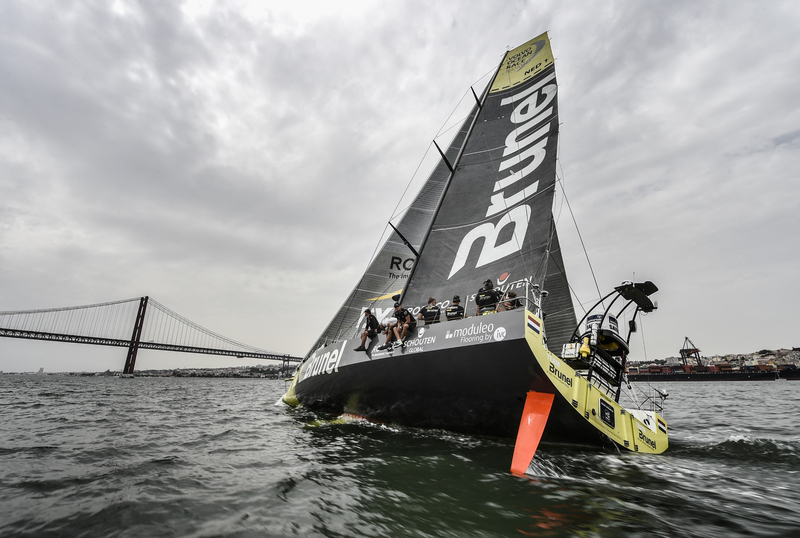 However, skipper Sam Davies and her team have always eyed the shorter final legs in Europe as their best chance to shine against their male counterparts, and so far on the 647-nautical mile (nm) stage from Lisbon to Lorient, France, they have sailed impeccably. 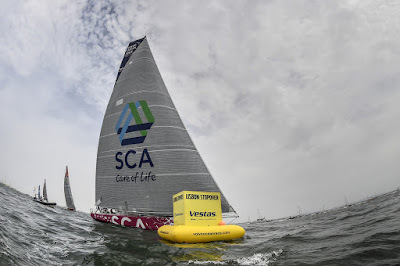 At the 0645 UTC position report, Team SCA led by 5.5nm from overall race leaders Abu Dhabi Ocean Racing (Ian Walker), having taken the route nearest to the coast of Portugal, where the wind was at its strongest (see panel above). 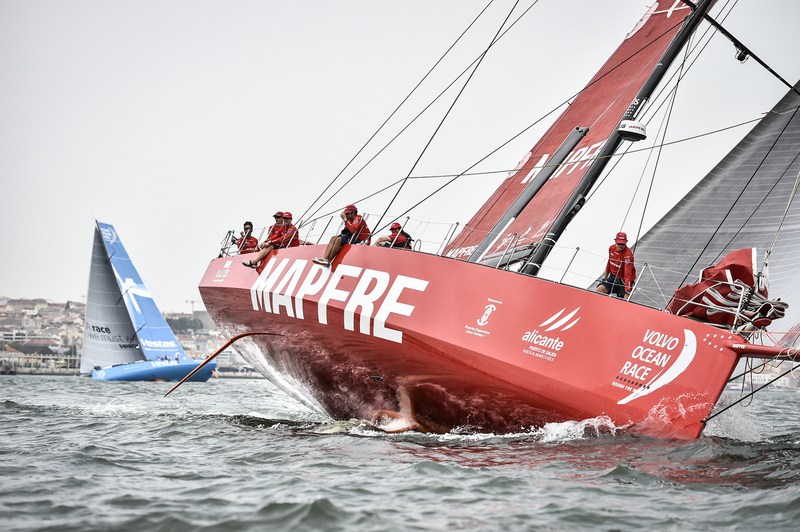 They will be delighted with their progress so far, however, showing good boat speed despite some six months out of the race while their boat was re-built following a collision with a reef in November on Leg 2. 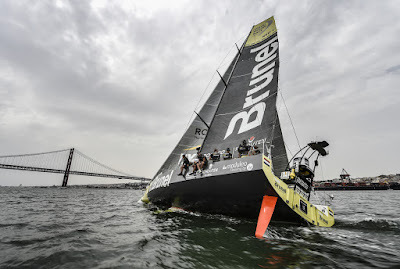 Team Brunel (Bouwe Bekking/NED), who need to beat Abu Dhabi Ocean Racing to close their six-point deficit on them at the head of the standings, were tucked in fourth place while Dongfeng Race Team (Charles Caudrelier/FRA) were last placed, 8nm further astern. 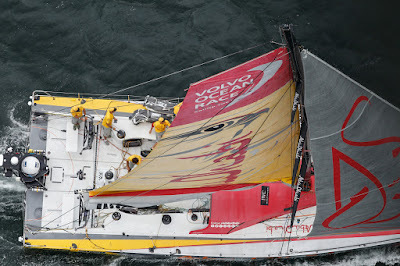 They suffered a small tear in their Code Zero sail when it caught on the spreaders. The crew have successfully repaired it. The Chinese boat also needs to finish ahead of Azzam to boost their chances of overall victory in the final port of Gothenburg. Meanwhile, Team Alvimedica (Charlie Enright/USA) were placed sixth, but still comfortably in the main pack behind Team SCA.The Turkish/American team’s skipper has issued a joint blog with Ocean Conservancy CEO, Andreas Merkl, to mark World Oceans Day on Monday. 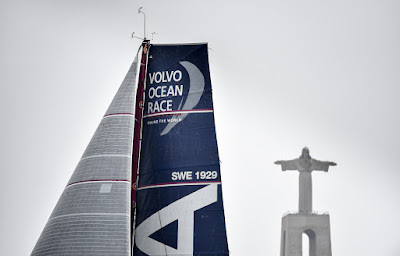 The blog will be available from 1100 UTC on the team’s website. 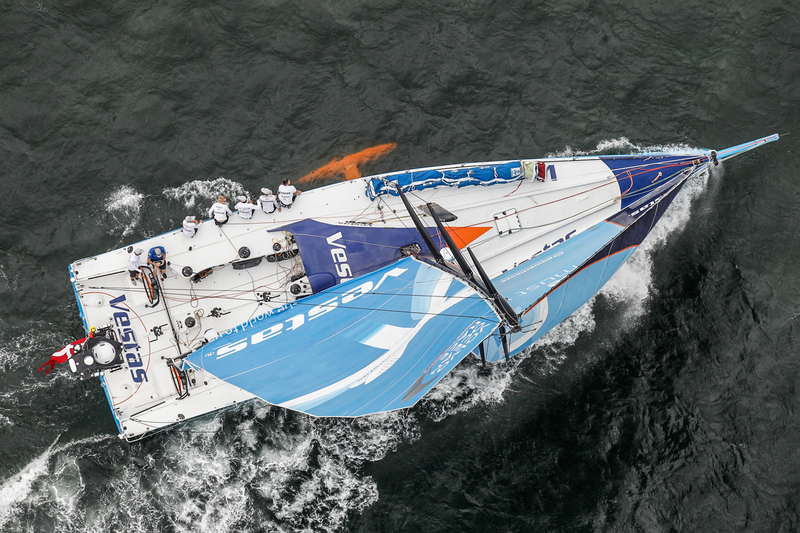 Ocean Conservancy is one of the world’s leading advocates for ocean health. Enright is an ambassador for 11th Hour Racing, a programme of The Schmidt Family Foundation, which establishes strategic partnerships within the sailing and marine communities to promote collaborative systemic change for the health of our coastal, offshore, and freshwater environments. He and Merkl wrote: “The ocean provides much of the food our global population consumes, along with the air it breathes and the waters that nourish it. “We owe this miraculous and marvellous system all we can muster to protect it and its inhabitants. Science has shown us where a large majority of the plastic waste is coming from and current research is showing us what we can do to stem the tide of plastics entering the ocean.